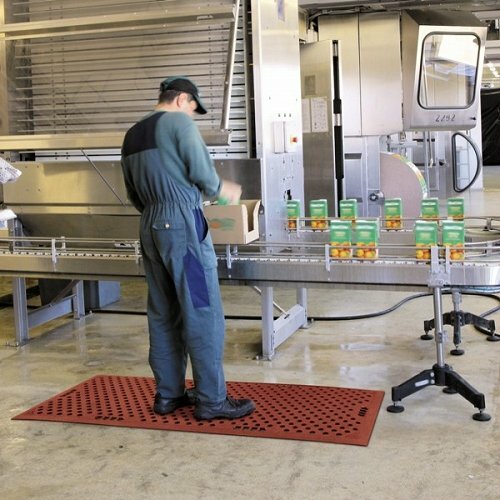 Grade “A” Food Production Mat – The first mat designed specifically for the food production and manufacturing industries. Its specially formulated anti-bacterial nitrile rubber composite is designed to withstand solutions used in a wide variety of food processing environments: vegetable oils, animal fats, citrus and fish oil. 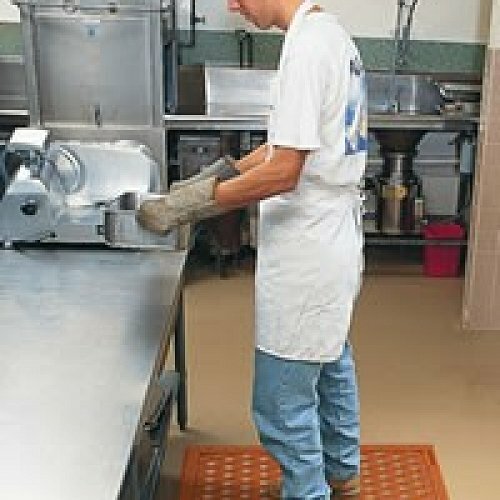 This mat has a built in handle to make lifting and cleaning of the mats easy. Hygienic porthole and solid underside design, simplify cleaning and virtually eliminates areas where food and bacteria can collect. 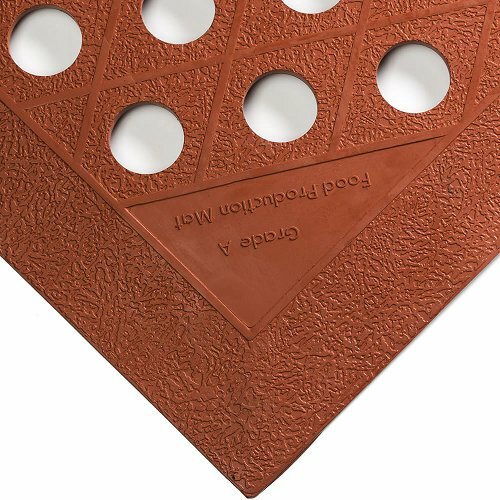 Substantial cleats on the bottom of the mat increase the comfort level and allow quick drainage of the mat. The flat, but also textured surface increases traction when wet and greasy.